Installing Icegram plugins are extremely easy and the whole process can be completed in a couple of minutes – if not in under a minute! Step 1: Get the zip file first. There are 3 ways to get your zip file. Step 2: After the download is completed, log in to your WordPress Website. Step 3: Go to your WordPress Dashboard -> Plugins and click on Add New. 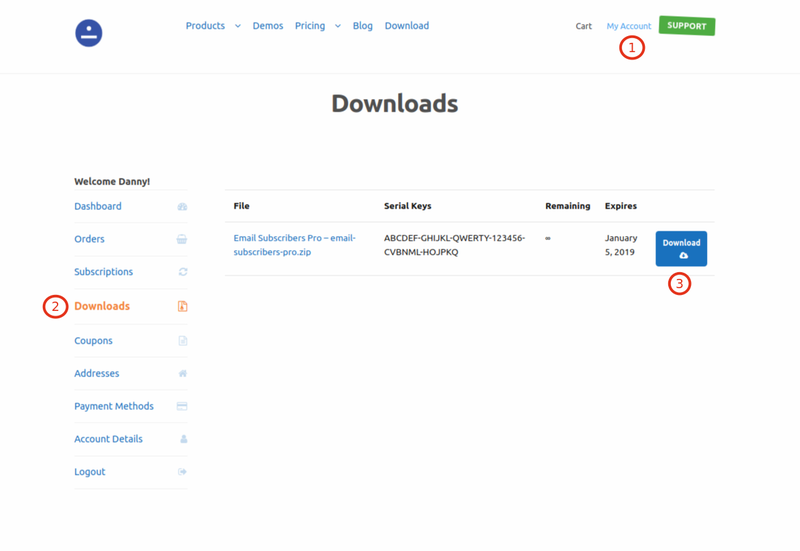 Step 4: Click on Upload Plugin button and then Choose File button to upload the .zip file of the plugin. Step 5: After uploading the .zip plugin file, click Install Now button to install. Step 6: After installation is complete, activate the plugin by clicking on Activate Plugin button. That’s it! Email Subscribers Pro is now activated!